Unbeaten defending champions Manchester City head to Vicarage Road on Tuesday night looking to extend their advantage at the top of the Premier League. Mark O'Haire pinpoints the best betting opportunities. "The numbers suggest the Citizens are dominating the Premier League in 2018/19 more so than PSG in Ligue 1 or Juventus in Serie A." Watford boss Javi Gracia bemoaned his side's lack of efficiency in the final-third as the Hornets fell to their 14th defeat in 19 on the road. Despite dominating possession with 62% of the ball, Gracia's group were beaten 2-0 at Leicester and saw midfielder Etienne Capoue dismissed for a two-footed tackle late on. Pre-match, Gracia suggested his team needed to rediscover their cutting edge having scored just once in their three, but there were few signs his players were close to recovering their goalscoring instincts. Roberto Pereyra passed up a glorious chance, whilst Isaac Success and Andre Gray wasted opportunities. The result leaves Watford, who have won just twice in their past 10 fixtures, in 10th ahead of their midweek outing. The Hornets are appealing Capoue's red card with Nathanial Chalobah waiting in the wings if they're unsuccessful. Elsewhere, Adalberto Penaranda is the only confirmed absentee for the hosts. Manchester City maintained their 100% home Premier League record but were made to work hard to see off a determined Bournemouth on Saturday. Bernardo Silva gave Pep Guardiola's gang the lead before the Cherries levelled by half-time; Raheem Sterling and Ilkay Gundogan then struck to secure the points. City, starting a punishing six-week schedule that sees them play 13 games in the space of 44 days including every midweek and weekend in December, looked surprisingly short of urgency or inspiration. Attacks were strangely short of an end product for almost an hour and supporters grew tetchy. Guardiola chose to shuffle his squad on Saturday with David Silva on the bench and top scorer Sergio Aguero absent altogether through injury. The Argentinean ace is a major doubt here with Gabriel Jesus expected to continue in attack. John Stones, Kyle Walker, and Riyad Mahrez are all pushing for recalls. Since returning to the Premier League in 2015/16, Watford [11.00] have lost all six top-flight meetings with Manchester City by an aggregate 20-2 - that includes a 6-0 and 5-0 thumping in their most recent two encounters with the Citizens at Vicarage Road, where they conceded a combined seven first-half goals. The Hornets head into their midweek match with only two triumphs to show from their last 10 Premier League matches (W2-D2-L6), whilst suffering defeat in four of their five contests against top-half teams. However, they have managed to topple Spurs, Chelsea and Arsenal here since the start of last season. Man City [1.32] are unbeaten in league football since April (W17-D3-L0) and Guardiola's charges are also posting Europe's most phenomenal performance data figures. The numbers suggest the Citizens are dominating the Premier League in 2018/19 more so than PSG in Ligue 1 or Juventus in Serie A. Pep's posse are averaging 3.13 goals per-game over their last 15 outings, and have W20-D4-L1 on their travels since the start of last season. Twelve (48%) of those victories arrived by a two-goal margin or better as City scored three times or more on 10 (40%) occasions. The guests also recorded 15 (60%) clean sheets. Watford's recent woes in front of goal - failing to score in five of their last eight encounters - have led to a series of low-scoring contests. Indeed, six of the Hornets' most recent nine have featured fewer than three goals. Nevertheless, six of their seven Vicarage Road dates have delivered Over 2.5 Goals [1.51]. Unsurprisingly, all bar five of Man City's Premier League matches have crossed the Over 2.5 Goals barrier, although the Citizens have only seen 13/25 (52%) of their away fixtures pay-out in the same market since the beginning of 2017/18, with 9/25 (36%) producing Over 3.5 Goals profit. 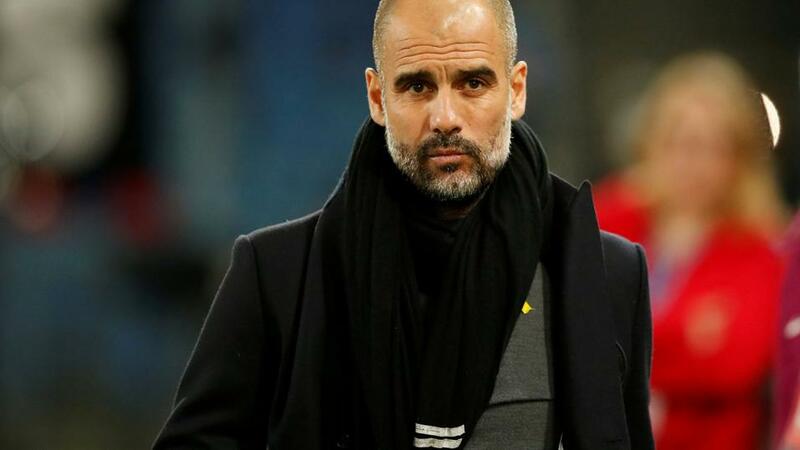 The best avenue of attack for Tuesday night's showdown might be to enter Betfair Sportsbook's Same Game Multi market by backing a Manchester City victory alongside Under 4.5 Goals. The selection would see us win should the Citizens triumph by 1-0, 2-0, 3-0, 4-0, 2-1 or 3-1 correct scores. With Watford looking unlikely to score twice, and 16 of City's previous 20 away days triumphs arriving by one of those six scorelines, the 7/10 on offer holds more appeal than approaching any handicap or win 'to nil' market.